Home Promos Ranneveryday ヅ's May Giveaway! Hello for the month of May! 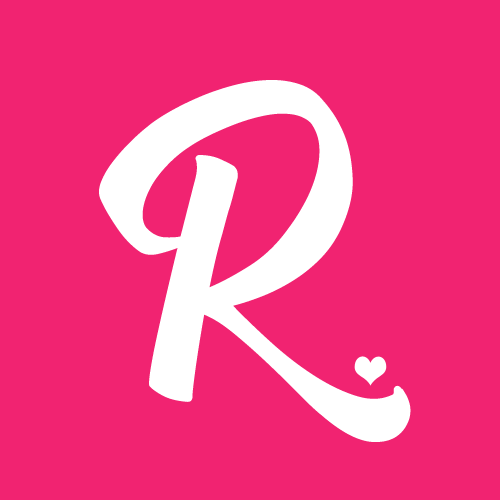 Ranneveryday ヅ prepared something which is perfect for both food lovers and tech lovers. Do you love Korean food? How about unlimited Samgyeopsal/Woosamgyeop? In need of a gadget where you can almost bring your PC anywhere you go? How about a Liva Mini PC? 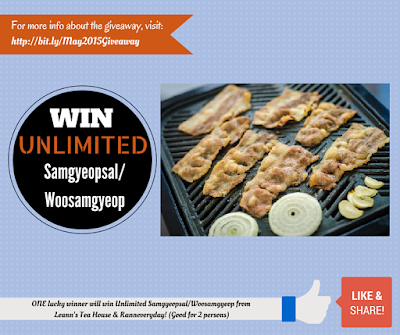 Unlimited Samgyeopsal/Woosamgyeop from Leann's Tea House (good for 2 person). Know more about Leann's Tea House here. One lucky winner will be chosen for each prize. But wait, there's more! 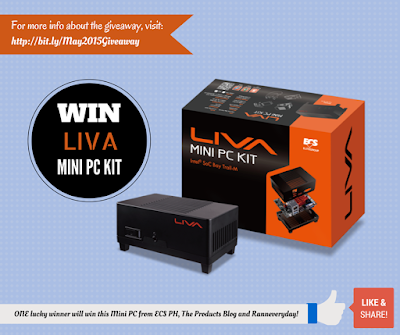 You can have a chance of winning BOTH of the prizes if you will participate on both giveaway. 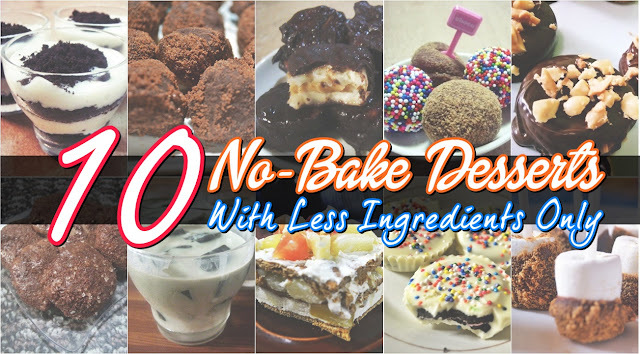 So be sure to try them both! To claim your prize, please send a private message to our Facebook page with your correct and complete contact details (should match with any valid ID's). Once again, congratulations! See you on my next giveaway! More prizes are yet to come! Each set will have different instruction. We will be checking if the entries are valid. A person can choose which set he/she want to join. He/she can either choose 1, 2 or both 2 sets. A person can have a chance of winning 1, 2 or both 2 sets. 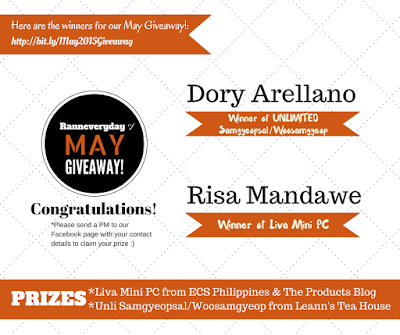 Winner/s will be chosen via Rafflecopter's random selection. 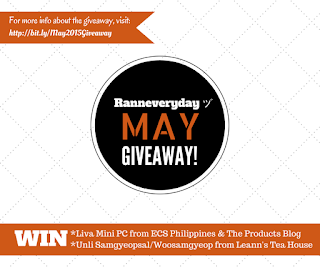 This giveaway will start on May 12, 2015 until May 29, 2015. We will post the winner the next day.